These are some of my first studies that I made. The first stl file without errors and to see how it copes with different levels of subpatching. I made a tiny one, up to a larger one this night (that took about 12 hours to print, it was the first stress test sorta speak as well ). Everything is done on easy/medium settings. here is another one, from right to left; from a solid version to a version with holes in it, again to see how the um is dealing with these subpatches and now holes combined. It came out pretty good! Again these are easy/medium quality settings on the standard um pla that came with the machine. What I did do is refine the shape very well in the software. 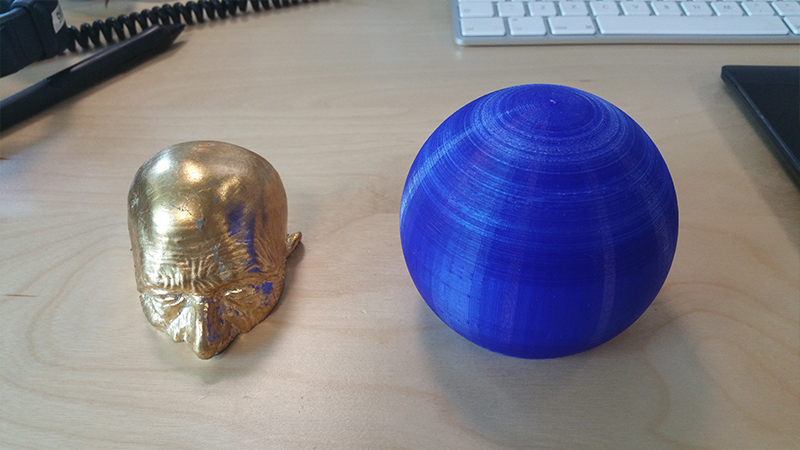 I did break a very small piece on the left version when trying to take away the supports. I was clearly pushing it there. It was too close to the supports and a bit too narrow. But I am impressed with the strenght in general, even where the piece is starting to get very narrow (for instance on the right upper corner of the left piece). Anything with a graduated slope will generally print just fine. and the benefit of it is you usually don't need any infill with these either. thnx for the tip @cloakfiend, trying out that option as we speak. Just make sure the walls aren't too thin. i do 1.2mm all over and no infill. 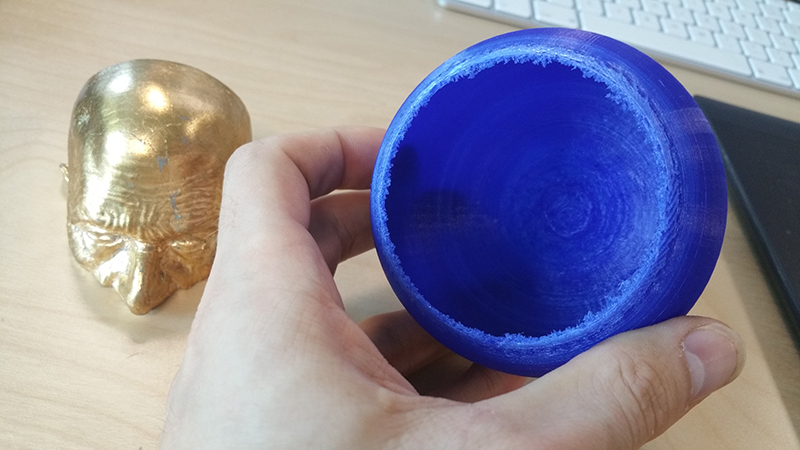 Even complete spheres print fine like this. 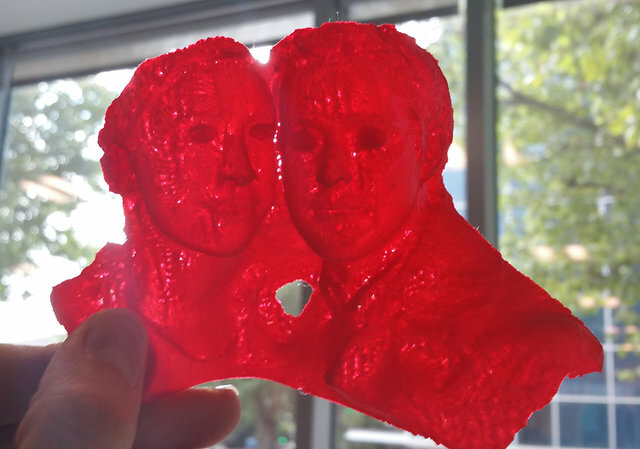 You only need infill if the layer is flat or begins lower than the surrounding area, but you could always hollow out the model in a 3D program and just print with supports and it will still save a lot of time and filament in the long run. Infill is usually pointless unless you are making working parts, for art stuff don't waste your time, it easy to just drill a small hole and fill it with plaster of paris to make it heavier . here are two objects printed with no infill or support. walls 1.2mm which i think is the perfect thickness. 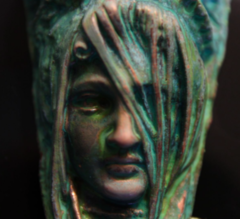 ignore print quality, and the gold one is just some gold leaf slapped on the model as a test, but i'm just trying to show the fact you dont need infill as much as you think. 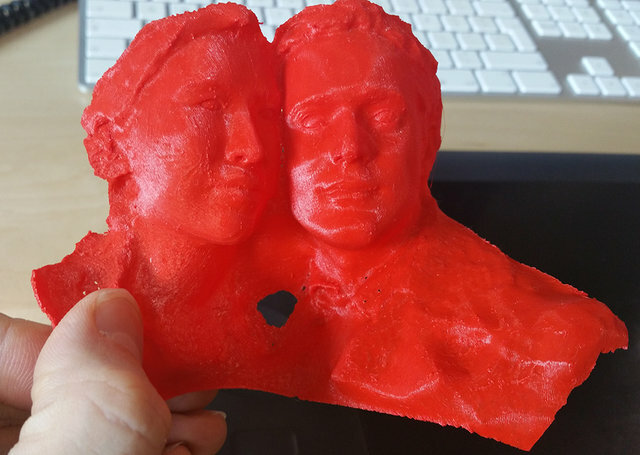 From experience, if you make the walls too thin then it wobbles when you print and the surface quality isn't as good as with thicker walls. The smaller the model the less need for infill. 1.2mm thanks. I'll try it out. One small attempt succeeded, but I noticed that the thickness was 2mm. Another failed at 1mm due to wobbling on the bed (forgot to use supports). Next time I'll try 1.2mm for sure. 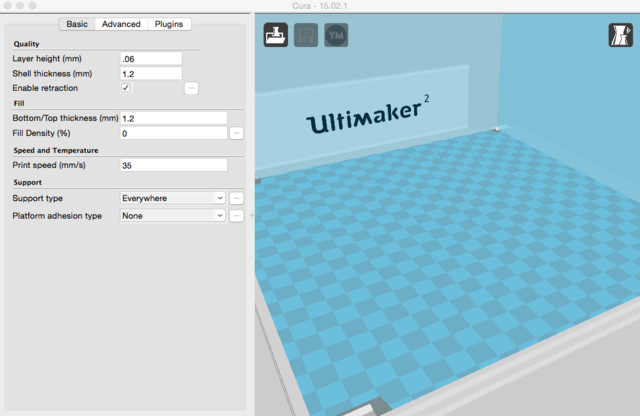 These are my settings and cura version if you were wondering, im not using the new cura, as i come from the universe of if it ain't broke don't fix it. I have zero issues with this one so i see no need what so ever for further development, especially aesthetic ones. i'm sure others would argue differently, but i'll leave that opinion for another thread. I print everything with these setting and only adjust the speed, the quickest i print is at 70mm/s and slowest 35, then 50. i print 210 at 35 218ish at 50 and 225ish at 70.
thanks @cloakfiend, I'll take that into consideration. I got a way to thin thingy lying around as well. for these abstract thingy's I make at the moment I don't look at scaling too much, except for the fact that I model them way too big at the moment. I have to scale them down significantly. But so far so good with the no infill, great to reduce some filament usage! If your model is closed, then scale away, but if its open like mine, then its paramount you get get the shell thickness right during modelling. By the way its 1.2mm as a division of the size of the stock UM2 nozzle which is 0.4, you should stick to this rule, basically 0.4, 0.8, 1.2, 1.6......you get the drift. otherwise you are forcing the printer to spit out either too much or not enough plastic for it diameter, or do multiple passes or something, dont quote me on that though i could be wrong, but stick to divisions of 0.4 for sure unless you're using a different nozzle. ok, I'll try to remember that as well.